After years of presenting itself as the conservative face of the Muslim world, Saudi Arabia is taking great measures to create itself as a modern, fun loving nation of people stifled by clerics and religious practices that were not actually, as now claimed, in line with Islam. 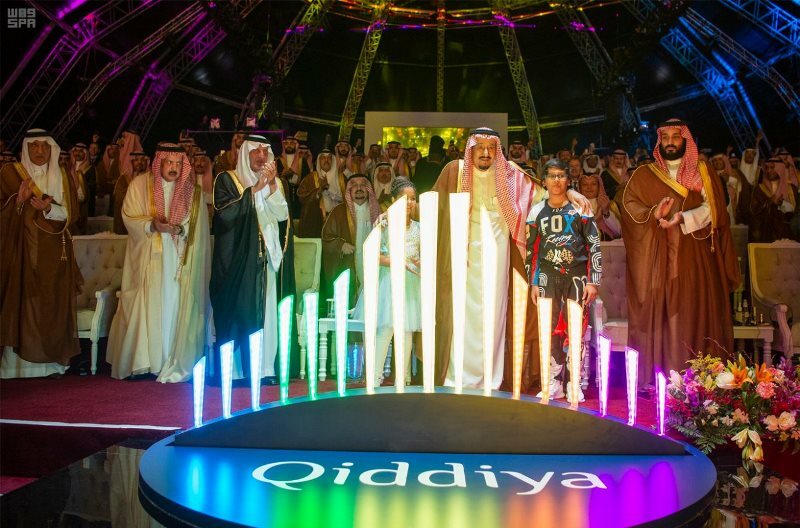 Hurling itself to ‘modernity’, the month of April 2018 saw Saudis able to attend a performance in Riyadh by the Arab Music Ensemble of the Egyptian Opera House; next, the opening in the capital of the latest Avengers movie at the same time as its worldwide premiere; and then the WWE’s Greatest Royal Rumble Special at the King Abdullah Sports City Stadium in Jeddah. The latest plans of a Saudi style Disneyland is being offered, citing that an estimated $30 billion a year is spent by Saudis on entertainment abroad. It is claimed that the projects focus is to create jobs and offer families the chance to stay at home instead of having to go abroad for fun. Through the focus on entertainment, MBS simply wants to cash in on Saudis spending and at the same time is trying to ensure that the same corrupt system remains in place where people are subdued and a false sense of fun is given to placate the masses. Saudis rulers have always been fearful of any political change. In the past, they used a strict interpretation of Islam to suit this purpose and now it is a seemingly soft version. With higher cost of living, lack of job opportunities in industry and dependency on foreign cheap labour, Saudi Arabia needs economic change and a vision for its citizens but Saudis do not need Western style escapism to get relief from the brutality of the Saudi regime that is of dedicated service to America in its war against Islam. The Muslim Ummah needs jobs that come from real industrial progress not borrowed Western consumerism. Tourism and entertainment are being used to divert the Ummah from its sorry situation, which is due to the selling out of resources by puppet rulers and to dependency on the West. The Ummah today needs a self-sufficient economy that is not tied to the West and its notion of ‘modernity’. This Ummah has a mission to be the leader of humanity by presenting Islam as an ideology that is sent to solve the problems of mankind and bring the people out of a fruitless existence to a real purpose. Diversions from our reality and true purpose will not work for long, inshaAllah. The establishment of the Khilafah (Caliphate) on the methodology of the Prophethood is the vision that the Ummah needs, not MBS’s blind vision.